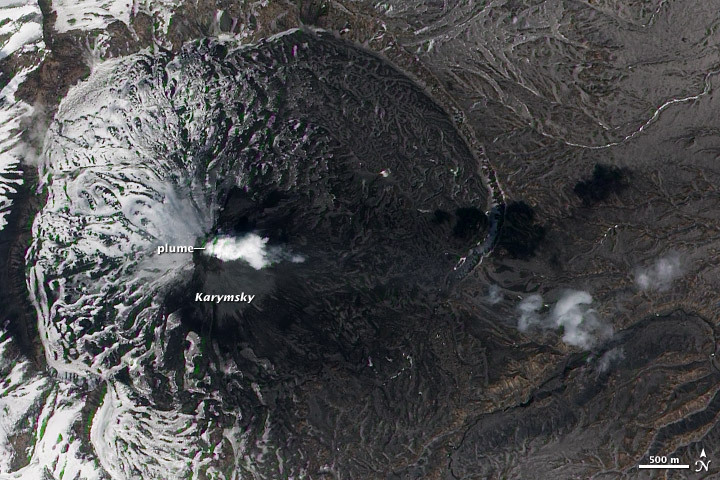 Karymsky Volcano has erupted regularly for more than ten years. This natural-color satellite image shows the volcano’s typical low-level activity. A white gas plume rises above Karmymsky’s summit, and fresh volcanic material coats the eastern slopes. This image was acquired by the Advanced Land Imager (ALI) aboard theEarth Observing -1 (EO-1) satellite on May 3, 2012. 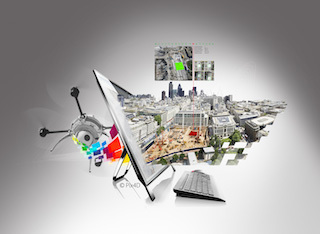 On Friday, May 4, GeoEye held an investor webcast announcing that it proposes to acquire DigitalGlobe, Inc., seen by DigitalGlobe as a “public hostile offer.” The combination of these two satellite imaging companies would form the world’s largest fleet of high resolution commercial imagery satellites, according to GeoEye. A quick overview of the proposed acquisition: DigitalGlobe shareholders will receive $17.00 per share in total consideration, payable $8.50 per share in cash and $8.50 in GeoEye stock, or 0.3537 shares of GeoEye stock for each share of DigitalGlobe stock. This price represents a 26% premium to DigitalGlobe’s closing share price on May 3, 2012. According to O’Connell, the proposal is structured to provide DigitalGlobe shareholders with the opportunity to participate in the dynamic future growth of the combined company.